Special Containment Procedures: A system of decommissioned utility tunnels at Site 9 was sealed off and converted into a mock sewer system covering an area approximating six city blocks, with seventeen "street-level" access points sized to fit SCP-731-1. D-class personnel are sent to "check the manhole covers" every one to two weeks to ensure that SCP-731-1 does not attempt to stray farther afield. All other horizontal access hatches or aperture covers within a five-kilometer radius have been sealed or retrofitted to a form factor incompatible with SCP-731-1. The mock sewer system is to be kept impenetrable to the entrance or exit of any vermin or other small creatures. A mixture of simulated wastewater and refuse is to be cycled intermittently through the system via pumps. Human access to the sub-street level system is via decontamination locks; the sub-street level is not considered hazardous but care must be taken against any unexpected tricks or traps that may be set by the SCP-731-2 contained within. SCP-731-2 is classified as Safe. Description: SCP-731-1 is a steel disk 63 cm in diameter, approximately 3 cm thick, weighing 55 kg. 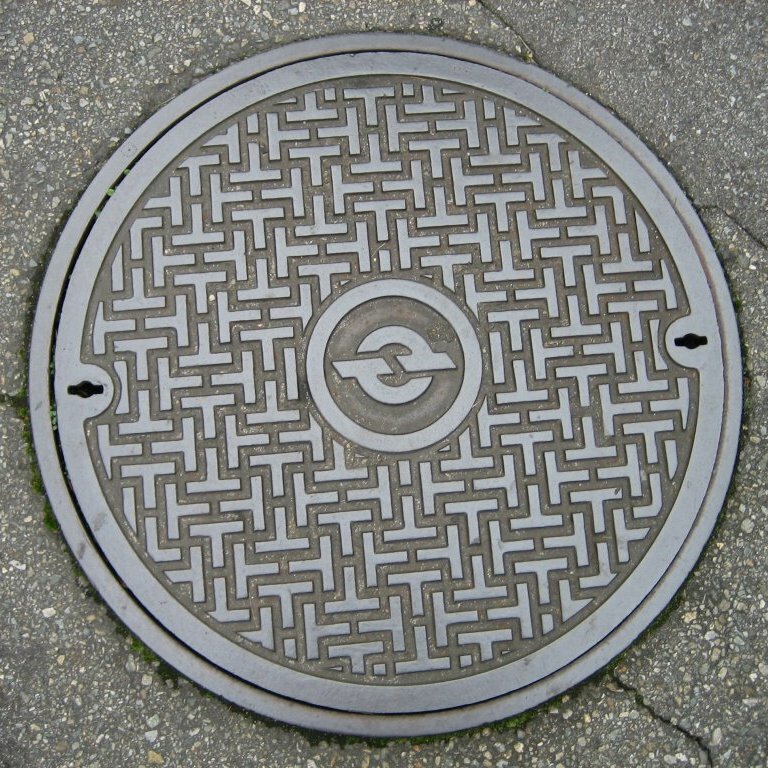 On its upper side it resembles an ordinary manhole cover with two apertures for the insertion of lifting picks and a traction pattern embossed in its surface that resembles a maze. A logo in the center consists of two short bars with arcs extending from their midsections. The appearance of the cover does not correspond to any known utility system or manufacturer, though the logo could potentially represent ███████ or ███████ ████. On the underside of the disk is an intricate geometric pattern of etched curves whose purpose or meaning is unclear. The existence of an SCP candidate was first suspected in downtown █████████ when data-mining revealed a suspicious pattern of unexplained missing persons. The pattern stretched back at least fifty years, prior to which time inadequate records were kept to track the disappearances with certainty. The underlying pattern to the disappearances was matched to the sewers and utility tunnels of the city; the last known location of disappeared victims was always in the immediate vicinity of an access manhole. Foundation teams searching the tunnels eventually discovered the unusual patterning on SCP-731-1's underside but by the time they returned with a containment vehicle SCP-731-1 had transposed itself with another manhole cover somewhere else in the city. SCP-731-1 was ultimately 'cornered' after a campaign was launched to weld down every manhole cover in the city under the guise of 'anti-terrorism measures', restricting SCP-731-1's mobility to the point where its only option was to transpose into a manhole that had been prepared for rapid removal and transport. SCP-731-1 appears to act as a sort of roving ambush predator. Its senses are unknown but apparently very acute. When it is stepped on by a lone human who is not being observed by anyone else the victim appears to "fall" down the manhole, in actuality being sucked into the solid surface of SCP-731-1. Simultaneously a single large Norway rat (Rattus norvegicus), hereafter designated SCP-731-2, is disgorged from the underside of the cover to fall into the tunnel below. It is thought that SCP-731-1 somehow converts its victim into this rat. The maximum range over which SCP-731-1 is able to transpose itself with compatible manholes, or whether it is possible for it to jump to another network of utility tunnels not directly connected to its current home, is not known. The frequency of its spontaneous jumps increases the longer it goes without performing a conversion, possibly with the goal of finding better "hunting grounds". It is therefore hoped that by allowing it to capture and convert a D-class personnel on a regular basis it can be kept "satiated" and will remain within the faux city where it is currently contained. The rats produced by SCP-731 appear physiologically normal at first examination. However, evidence suggests that they possess an unusually high level of intelligence and that they may retain specific knowledge and/or memories possessed by the humans they were created from. 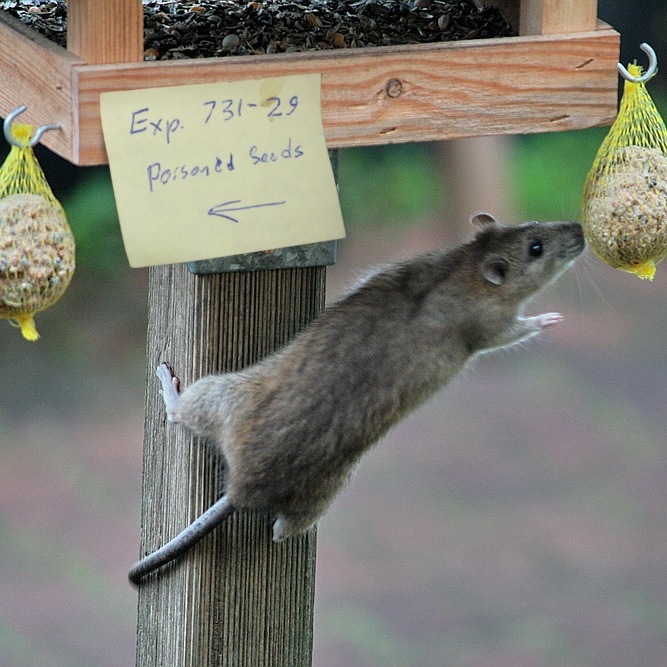 SCP-731-2 have proven extremely adept at overcoming puzzles and other challenges and are only rarely fooled by conventional rat traps. SCP-731-2 avoid human contact wherever possible and their endocrine responses suggest they are universally terrified by the presence of humans. When kept under observation in a laboratory setting this fear appears to override much or all of their higher brain functions, such as they may be, causing their behavior to appear similar to a normal rat's. This makes confirmation of their intellectual capabilities under controlled conditions difficult. Concealed cameras and microphones were hidden in the tunnels of the containment facility to observe converted rats in their 'natural' environment. When unaware that they are being observed SCP-731-2 are highly social and appear to attempt to communicate in complex ways. Since the rats are far easier to contain than the teleporting manhole cover that produced them this study has been judged of low risk and SCP-731-2 have not been subject to routine extermination. When normal rats are introduced into cages with SCP-731-2, SCP-731-2 tend to be timid and exhibit submissive behavior toward their wild cousins. The normal rats do not appear to consider SCP-731-2 unusual. Mating behavior has been observed but it does not appear that these superficially similar species are interfertile. It is not yet known whether SCP-731-2 are fertile at all; SCP-731-2 appear to have a longer lifespan and lower metabolic rate than natural rats, with a correspondingly reduced fecundity. This further reduces the potential risk of SCP-731-1's "progeny" escaping into the wild, though a population may still exist in █████████.